Nothing can be as motivating as cash rewards while playing card games. Especially, if it is rummy, playing cash games is apparently the actual calling for most of the people who love to play the game. Rummy, across the world, is one such card game which keeps topping the popularity chart. In India, rummy is usually played in family get together and festive occasions. Weddings, parties or festivals like Diwali, Dussehra and Holi, seem incomplete without a game or two of rummy. With the recent surge in the number of online rummy sites, many rummy enthusiasts are switching to the online counterpart. Whether it is a beginner or an expert player, everyone seems to enjoy playing rummy online. And with the advent of mobile apps, the story has turned all the more interesting; the fun quotient has elevated rummy to a level altogether. It would be an understatement if we said that most of the players who register on rummy websites do so with the sole intention to play rummy online for cash. In fact, traditional rummy had gained so much popularity because it was played for cash. Another reason why most of the players opt to play rummy online is the ease of access. 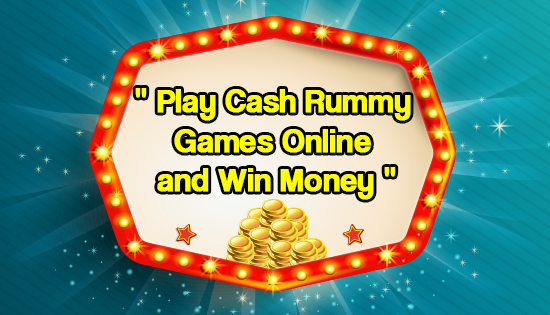 Rummy sites offer free registration. For expert rummy players, there are the cash tables where they could play for huge cash rewards. In the case of beginners, they are not left disappointed. The credible rummy sites offer practice tables and freeroll tournaments where beginners can play rummy games for free. They can practice and sharpen their rummy skills. Ultimately, it doesn’t matter whether you are a pro or a beginner, everyone can play the game of rummy based on their level of expertise and can look forward to winning cash too. An interesting upside of playing rummy online is that apart from the popular classic Indian rummy, players have the option to choose from its variants – Points rummy, Pool rummy and Deals rummy. There is a 2-pronged advantage here for the players. Firstly, by switching from one variant to another, players can improve their rummy skills. Secondly, it again boils down to cash rewards, as they can play for real cash in any of the variants. Another lucrative benefit of playing online rummy games is the fact that the rummy sites host several freeroll tournaments. Players can take part in these tourneys for free and win cash for free. Additionally, there are daily, weekly and mega promotions to encourage rummy players to participate and win real cash. Some popular rummy sites offer ‘no deposit required’ freerolls, where new players can go ahead and participate in these tourneys without having to deposit any money. Online rummy has indeed changed the way how people approached the game. With the option to play online rummy for cash, the game can only get bigger and better and nothing less. The more you play, the brighter are your chances of winning the game and real cash too!